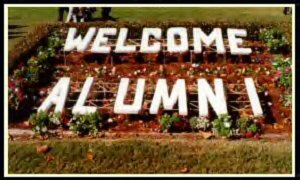 We welcome all former students of Willingboro High School and John F. Kennedy High School to our Alumni webpage. Here we will attempt to keep our Alumni abreast of any events of interest within the alumni community; including reunions, meetings, and other related happenings. If you would like to see your information on this page, please submit a request with the webmaster and we will be in contact with you. Please keep in mind that this is a public webpage and any personal information you submit will be published on the internet for anyone to see. In order to to avoid any unnecessary harassment, it is a good idea to refrain from including your home address and phone number on this or any other webpage. Also, please note: All of the information posted here is for your information only. The Willingboro School District is in no way affiliated with, nor do we represent, condone or control any of these organizations and/or their representatives.